Home Blogs Desert Road Trippin How to keep ice COLD in the desert. How to keep ice COLD in the desert. Tips on how to keep your cooler cold, your ice from melting too fast and your food fresh when traveling in the desert. One of the challenges of camping in the desert is keeping your ice cold and thus keeping your food and beverages cold and edible. How can you preserve your ice so it doesn’t melt so quickly? How can you keep your food from getting soggy from the melted ice? How can you keep a cooler cold for 5 to 10 days if ice is not available for purchase nearby? These are some of the most common questions asked by campers. What type of cooler should you use? There are many types of coolers to choose from, including metal, plastic, Styrofoam, soft-sided nylon and hard-sided plastic. The soft-sided nylon coolers and Styrofoam coolers are suitable for day trips. 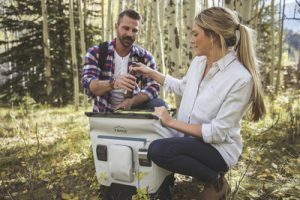 If you are camping overnight or going on a longer trip, it is very important to get a durable cooler that can keep your food and beverages cold over a period of time. Metal coolers hold heat longer when left in the sun, so plastic coolers are the most popular choice for campers. We read a lot of online reviews and these cooler brands/models kept coming up as the best coolers of 2018. When selecting a plastic or hard-sided cooler, make sure to choose a cooler that has an insulated lid with a tight seal. Wheels and big handles for easier management are also beneficial features. Make sure your cooler has a plug on the bottom for water drainage. Pre-chill your drinks and food before placing the items in the cooler. You’ll extend the life of your ice by pre-chilling all items. You can also pre-chill your cooler by filling it with ice to chill the interior, prior to packing it with food and beverages. Freeze plastic bottles of water or canned drinks that are not carbonated, such as Hansen’s fruit juices. The frozen drinks will act as ice and will keep the other items in your cooler colder. You can also freeze water or other non-carbonated beverages in gallon milk or juice jugs. They can be consumed when the liquid inside melts. Freeze meat, and any other food that can be frozen, to help keep the food cold and fresh. Freeze bread and other food items that don’t require refrigeration, and store these items in a dry cooler without ice to keep food fresh and dry. Line your cooler with Reflectix (aluminized bubble wrap). You can find it at most home improvement stores. It was invented to insulate homes and buildings. Smart campers came up with the idea to use Reflectix to keep the heat out and the cold air in coolers. Cut the Reflectix into pieces that fit, lining the inside of your cooler, including the top/lid. You can even throw a sheet of Reflectix over the outside of your cooler to further insulate it. Pack items in your cooler in chronological order based on when you plan to use or consume the items. Put the items you will use last on the bottom of the cooler, and those you will need access to first, on top. Cold air travels down, so pack the items in the cooler first and then pack either crushed ice or block ice on top. Make sure you pack your cooler tight as air pockets can increase the temperature inside. Pack perishables such as meat or dairy products directly on the ice. Put food in zip-lock plastic bags or in plastic containers to keep it dry as the ice melts. For longer trips it’s a good idea to keep your beverages in a separate cooler that can be opened more frequently. Put all of your food in another cooler and open it less often. What type of ice should you use? Crushed ice cools items faster, but ice blocks last longer. Block ice is recommended for trips that are more than one or two days. Dry ice will last the longest and keep your food dry, but requires some special handling. You can freeze water in quart-sized zip-lock bags. They will work just like ice packs, but won’t leak water as they melt. In addition, the bags of water, once melted, can be refrozen and used again. As noted above, frozen water bottles, milk or juice jugs filled with water or juice can be used in place of, or with ice cubes or blocks. Frozen blue ice packs also work well in place of ice. If you are going on a trip where you will not be able to purchase ice or where you need your cooler to stay cold for several days or weeks, consider dry ice. Dry ice comes in blocks wrapped in paper. Keep the paper on the dry ice or wrap it in newspaper or craft paper. Don’t pick up the dry ice with your bare hands. Use gloves or some sort of barrier between your skin and the dry ice as it will burn your skin. Dry ice will crack a plastic cooler if it is sitting directly on the bottom of the cooler or touching the sides. The dry ice needs to be wrapped in paper (NOT plastic), and placed on a rack or barrier so it doesn’t crack your cooler. You can cut down a cheap Styrofoam cooler, place the dry ice in the bottom of the cut down portion, and then place that inside of the plastic cooler. This creates a barrier between the dry ice and the plastic sides and bottom of the cooler. You might also try putting a stainless steel dish rack with legs in the bottom of the cooler and then placing the dry ice on the rack. Stainless steel dish racks can be found in most stores that sell kitchenware. Anything stored right next to dry ice will freeze. Keep this in mind when packing fruit, dairy products or other items that you don’t want to freeze. Dry ice does not melt, it sublimates and keeps items cold or frozen, and dry. Another idea is to pack the dry ice in a separate cooler and surround it with frozen blue ice packs. Don’t put any food or beverages in this cooler, just the dry ice with frozen blue ice packs. Once the blue ice packs in your food or beverage cooler are used up, switch the blue ice packs with fresh ones out of the dry ice cooler. It’s a great way to refreeze your blue ice packs and avoid damage to your food by freezing it too much with dry ice. Does Salt Keep Your Ice Colder? Fact or fiction . . . does salt keep your ice colder? Well, kind of. Salt melts ice. When salt is mixed with water and ice together, it can bring the freezing temperature of the water to a lower degree, making the water colder without freezing it. What this means is that the combination of salt, ice and water creates really cold water. The down side is that salt also causes the ice to melt, and the goal of keeping your ice cold for a long period of time is to keep the ice from melting. The ice/water/salt combo is s a great trick if you are having a party, run out of cold drinks and need to chill something quickly. Put some water in a big bucket or pot, put the canned beverages or bottled beverages into the container, add ice and salt to the water and stir the mixture. Put the container with the salt water mixture and the drinks in the freezer and those beverages will be chilled in a matter of minutes. Or keep the mixture out and spin the drinks in the fluid – that will also speed up the chilling process. If you don’t spin the beverages or put the mixture in the freezer it will still chill the drinks faster than ice alone or your refrigerator would without the ice/water/salt mixture. During your trip . . .
Once you arrive at your camping location be sure to keep your coolers in the shade and out of the sun. You can put an old sleeping bag over them for further insulation. You can also use a tarp or Reflectix to keep the sun off the cooler. Ice will last twice as long when your cooler is placed in the shade. Only open your coolers when necessary and when you do open the cooler, close it right away. Don’t drain the cold water from freshly melted ice out of the cooler, as the cold water helps keeps the items in the cooler cold. Drain the water only when necessary to create more space in the cooler or when adding more ice. Heat acclimation – Combating the desert heat. When I was younger and went fishing with my Dad he had one of those old Coke metal coolers and to make the ice last for the weekend he’d put 6 full sized sheets of newspaper folded in half and laid on top of the contents. I still do this if we’re on a trip of several days and it does work really well. I’m sure the Reflectix works great, but if your in a hurry and can’t find it then newspaper works great. Don Gimore aka Desert Cruiser…. Have been camping in the desert for many years and after learning much of what is in your article life became much easier.The reflectix in and over the cooler and reducing the amount of air in the cooler really works. I have been putting some reflectix on top of the food/drinks which takes care of the air bit. Good article. One caution when using dry ice. As the frozen matter “sublimates,” it gives off CO2 gas. Especially if your cooler has a tight seal, that gas roams around the interior and gets into any open containers. I found this out the hard way when I put back in the cooler a cardboard container of milk. Even though the pull-apart top had been squeezed back together, the CO2 gas got in and we wound up with fizzy, very funny-tasting milk. I did an experiment yesterday with 2 x 3L milk bottles with fresh water frozen inside. I cut a 32mm hole in the bottom of one milk bottle to allow water to drain while melting. I sat both bottles in the shade for 10 hours. At the end of the 10 hours, the milk bottle that didn’t drain the water had no ice left and the water inside was ambient temperature (21degC). The bottle that had the water drained still had half it’s ice block inside. In response to draining the water, I believe the water if retained in the esky, should at least be drained away from the ice. Air around the ice can be below 0degC. Water (fresh) however can never be below 0degC. Therefore water will melt the ice faster than air. I tried to freeze salted water with this experiment also, but the salt content was too high to freeze the water at -10degC. I will try this experiment again with a lower salt content. To see the results look up member davec2353 on the http://www.ausfish.com.au site in a few weeks. I will also be posting a review of an isolated camping 7 day trip to fraser island at the end of march. Solid article. I never knew about the salt water with ice cooling bottles faster. Will have to try that at my next party. Instead of worrying about making your cooler thicker and perform better with lining, why don’t you just look at buying a better cooler? 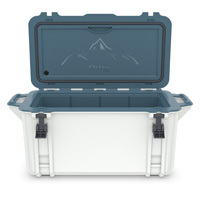 Yeti Tundra Series camping coolers are ideal for the long camping trip. They will keep the ice longer without modifying anything. They last forever and are tough as nails. I have been whitewater floating for over 20 years. everthing on this page works. what i have learned the most is that there should not be any air space. Fill the cooler full with everything frozen. Frozen beer cans are great. You need to choose a beer that is not a light beer . Too much water content and the cans wiil explode when frezzing. Frezze at a low temp wil also help from cans exploding. Aluimmun is a great conductor. I have had cold beers on the Grand Canyon for 15 days out of a quality cooler. Take an old beach towel and get it wet, then wring out any excess water so it doesn’t drip. Drape the moist towel over the cooler. The evaporative loss of the water from the towel will keep the exterior cool, which will help keep the interior cool as well. I do lots of whitewater canoe tripping in wilderness desert areas of Colorado, Utah, etc. We use an evaporative cooling towel (e.g., highly absorbant camp towel) on the coolers (which are sometimes unavoidably in the sun, especially while we are on the river), and it’s amazing how well that works. You just have to keep the towel wet with river water at all times, and keep the cooler in the shade when that is possible, and you really can keep ice for 6 days in 95 degree weather. Traveling with dry ice in a closed car can be very dangerous. As Bill Norman says, dry ice “sublimates,” and gives off CO2 gas. A friend was returning from a youth outing with several ice chests containing dry ice, became sick and almost passed out while drilving. It is a good idea to keep the window cracked to let in fresh air if you carry very much dry ice. Nice pointers to consider on how to keep our food and beverages cold while in the wilderness. It’s good that we have a list of coolers out there for sale. But face it ice will melt a short time… short meaning not long enough to cater our journey. We’ll you have listed some helpful tips and I think it could help but how long? Watch out when freezing bottles of water as they can break. Usually it’s best to drain some water out of the bottle before freezing it. Also, keeping the cooler off the ground will extend the ice life. Also, I understand that it’s better to put dry ice on top since the cold goes down…..
Have to say I disagree with not draining melted ice water. Yes ice water is cold, but I find that draining the cooler daily and only having cold air in the cooler works best. Per the FDA: “Cold food should be stored at 40°F or below to prevent bacterial growth.” Let that water sit too long and it may not be below 40 degrees. Best to take a thermometer and check it. Air is the best insulator, just don’t open the cooler all the time. Like the article says, having one ice chest for food and one for drinks is the way to go because then you only open your food ice chest 3X per day. Thank you so much. 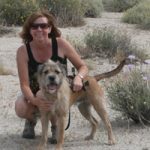 This article was incredibly helpful as I plan a long cross-country car trip with my dog. She’s a finicky eater and I’ve been concerned about keeping her well-fed. This information will help enormously. There’s been some good research on preserving cold, and turns out the best is a frozen mix of water and sawdust. This works well enough that there have been some experimental ships made of it that stayed afloat as long as six months. also if you takeziplock bags and fill it with that wood bedding stuff for animals and water it will last 4times as longs as ice does as there is less surface area for the molicles to melt or something. All good tips, but the cooler is key. I have several Tecni Ice coolers. As good as the Yeti at a fraction of the price. I’ve backpacked desert country for many years. Long ago I discovered that by wrapping my water bottles with aluminum foil, the water stayed cooler. Now days, using refletex the same way, as well as around cached water bottles, I find it works great. By the way, I learned this the hard way when the water deep in my pack became too warm to drink. I was getting ready for my recent solo walk across the Mojave from the Colorado to the Sierra by wrapping up the bottles I was taking. A friend saw me doing this and laughed at me saying there was no way it would help. As I said above, it worked just fine. I would say remove the water from the cooler if it touches the ice. Water will melt the ice faster. I catch the melted ice water and pour it over a beach town draped over the cooler. This creates an external evaporative cooling effect. Thanks, Lynn. As SaunieInDiego said, having a premium cooler is key. An off the shelf cooler from Walmart will rarely hold ice for more than 1 day, regardless of the advice given. But, combine these tips with a high end cooler like a Yeti, Bison, or Orca, and you’ll easy keep ice for 5-7 days. I would llike to thnkx for the efforts you have putt in writing this blog. I’m hopin the same high-grade site post froom you in the upcoming also. One more important component is that if you are a mature person, travel insurance intended for pensioners is something you should really take into consideration. The mature you are, a lot more at risk you’re for having something terrible happen to you while in foreign countries. If you are not covered by several comprehensive insurance coverage, you could have some serious issues. Thanks for expressing your suggestions on this web blog. You didn’t mention ‘party ice’. We used to order several blocks of it per couple, every year for our annual Labor Day week camping trip to a special cove along the coast of Baja California. Party ice is blocks of regular ice that have been frozen with dry ice for about a week. We ordered 60-80 blocks about a month ahead of time for our group of about 40 adults. 1 block in the smallest coolers, (meats divided into daily portions, and frozen at the lowest setting for about a week), which were opened only once a day. The medium coolers had party ice, and foods (as many frozen as possible). The largest coolers held party ice, regular ice, frozen jugs of juices, sodas & beer (this cooler was opened continually). And most of us had large Igloo jugs, where all the cold water ended up. We had an Army pavilion tent which was our only shade, so, coolers were half-buried in the sand, under the tent in rows, providing seats and tables. At the end of a week of hot beach camping, we all still had ice to cool our tequila drinks. Has anyone ever tried drilling holes in the outside of their cooler and putting in spray foam? Just curious if this might increase an ice chests ability to keep things colder for longer. That’s pretty convenient that you can use a sleeping bag to help keep the ice cold. A friend of mine made that suggestion once and I thought it was wierd. However, as wierd as that is, if it works to keep things cold, then it’s worth trying out. When backpacking in the desert away from our car we also put extra sleeping bags around the cooler. That beer was very cold when we got back to the car! This is really good article.Comment done by Karl for keeping ice COLD in the desert is really nice and very scientific. Well said Karl. 1. Try loosely wrapping the outside of your cooler in Reflectix instead placing on the inside. The metallic silver will reflect the sun to help prevent the cooler from heating up. The exterior air gap between the Reflectix and cooler will also minimize external heating of the cooler from direct solar ray or high air temp. The longer the cooler’s exterior stays cool, the longer the cooler’s interior will stay cold. 3. Open air space inside the cooler is the enemy of cold. Use an internal insulated lid/sheet laid over the contents to keep the ice from working (melting) just to chill the air. Try a towel, zip lock bag full of air or wadded paper, plastic grocery bag full of crumbled newspaper, bubble wrap, Reflectix, closed cell foam pad (sleeping mat), polystyrene board, etc. inside the cooler above whatever you’re trying to keep cool. 4. Every time you open the cooler, you loose the cold and introduce hot air into the cooler. Have a cooler for cool drinks that gets used throughout the day. Have a second cooler for cold/frozen items that only gets open for meals and stays shut the rest of the day. Don’t linger and window shop with the lid open. Get in and get out quickly and efficiently to minimize heat transfer. 5. When using one cooler, I use a vertical center divider with frozen items on one side and chilled items on the other. 7. Ice melt (water) eliminates air space and helps keep things cool; it is typically best not to drain the cold water if you are trying to keep everything cool longer. Unless you have more ice to add, why dump the cold water out onto the ground? 8. Educate yourself on the magic of evaporative cooling for items outside the cooler. (i.e. coolgardie safe, bio cooler, evaptainer, pot-in-a-pot, etc.) Even something as simple as wrapping a water bottle or soda can in a wet washcloth (i.e. terry towel or inside-out sock) will pull heat out of the drink (cool it down) as the water in the cloth evaporates away. No body likes water that tastes like hot plastic or wilted produce and this can cool down your drink significantly and keep your food fresh longer. The technique works better in a dry heat (low humidity) and you remember to keep the material damp. Thanks, for sharing such informative article. I have been using Coleman 18-Quart Cooler for last 2 years for my camping purposes whenever it is desert or rock or sea area. Great tips here! I’ve always advised my friends that buying a rotomolded cooler isn’t as important as packing the cooler right! Thank you for the suggestion and reviews. My family is planning on going on an adventure and this will help. We will be keeping it cold.